Red. That color that warms the soul and to me, signals time for the leaves to change. I’ve always always always loved this color. There are so many amazing trends this fall that I’m so on board with. 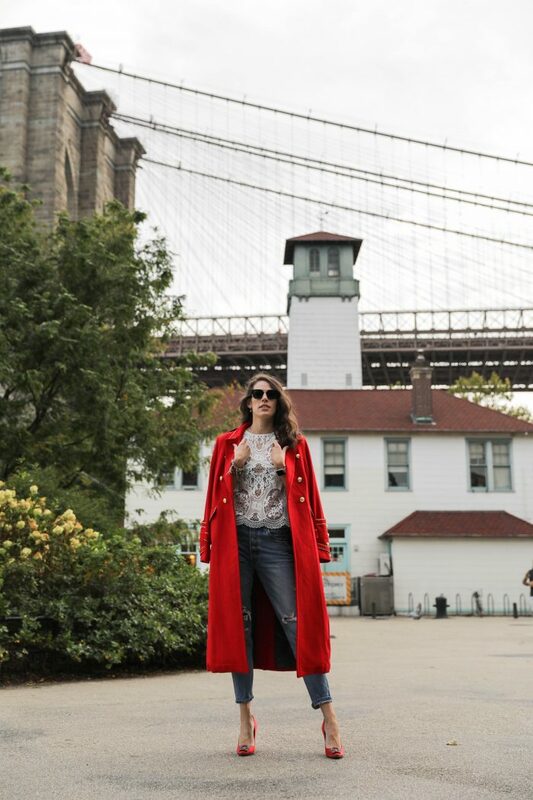 But the easiest trend to wear this fall is the all red uniform! 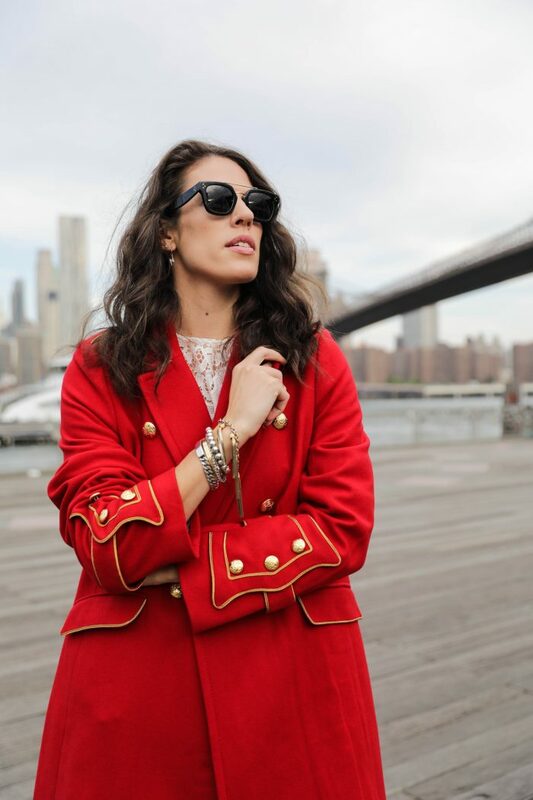 I absolutely fell in love with this gorgeous red coat from Banana Republic during fashion week. I love the military details, the classic wool overcoat style, and the large lapel. 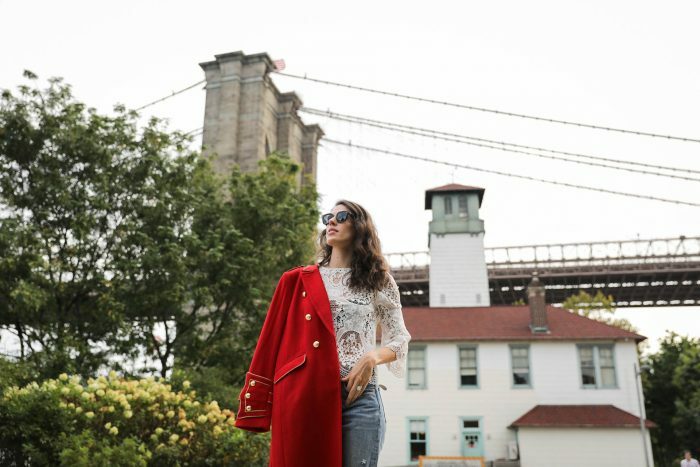 It’s the perfect coat for everyday or just a fun statement when the days are grey and the sun sets all too early. I paired mine with my faaaaaavorite jeans right now from Levi’s. They’re the go to rigid denim with just the right distressing. They’re high waisted, which I love, and loose in just the right way. 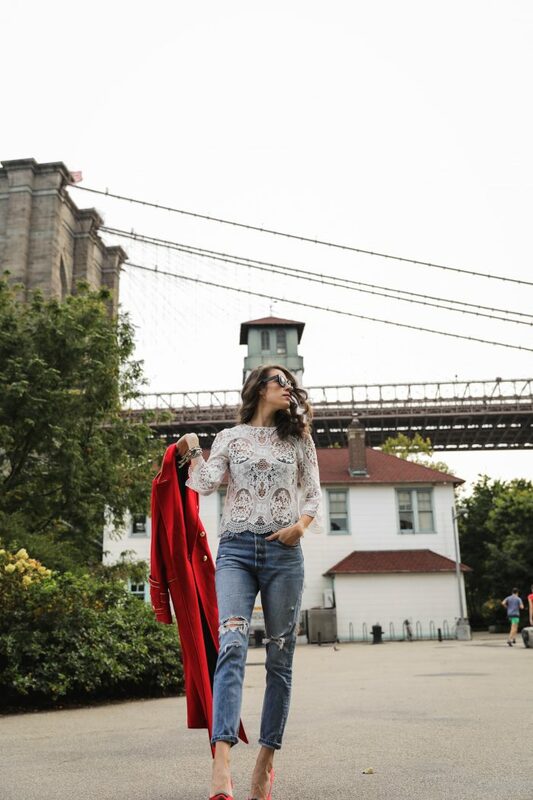 You don’t always need to feel painted into your jeans. Paired with a classic white lace top and my go to statement red heels from Manolo Blahnik. 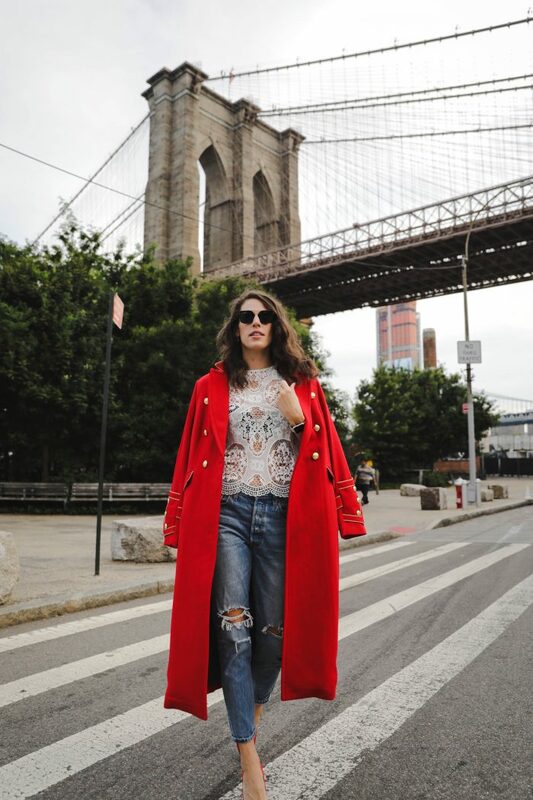 You can incorporate a dash of red or go for the whole damn look! Here I decided to pair a great pair of red Manolos with a red overcoat (bought mine one size big (size large) so it was a bit more oversized, if you want it more fitted, buy true to size). But I’m totally obsessed with an entire red uniform. Adios all black uniform, heeeellllloooo all red! 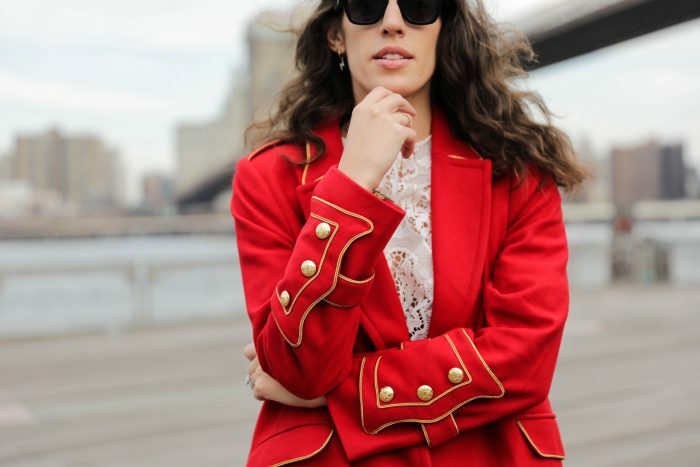 Here are a few of my favorite red picks for fall to create your red uniform. What trends are you loving this fall? I would love to hear from you! Head back to Accessories Gal Monday next week for a little bit of print mixing fun.